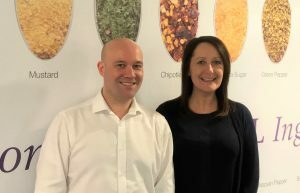 Dalziel Ingredients, the UK specialist in bespoke seasoning blends, cures and functional ingredients, has strengthened its sales team with two key appointments, underlining the firm’s commitment to customer service as it grows. Gill Skipper joins as technical sales account manager, after 29 years working in the food manufacturing industry with Tulip Ltd.
Latterly she was product technologist developing snacking, party food and seasonal food products – sausages, scotch eggs, pies and hand-held food – for the UK’s biggest supermarkets. In her new role, Gill is tasked with developing customer relationships and using her long experience in manufacturing to support clients on their product development. James Cowen also becomes technical sales account manager at Dalziel Ingredients. Having started his career with Dalziel 24 years ago, latterly as purchasing manager, he brings a great understanding of product development to his new role. Their appointments reflect the company’s strong track record of growth, resulting in Dalziel’s major £2.5m expansion at its Felling, Gateshead factory and new product development centre. 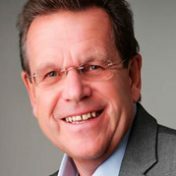 Richard Wilson, Dalziel Ingredients’ sales director, said: “We’ve seen a sharp increase in demand globally for our bespoke ingredients products. Dalziel Ingredients advises food manufacturers across the UK on flavour trends, market analysis, factory processes, recipe formulations and product quality enhancements (increasing yields, salt reductions, improved texture and fat reduction). 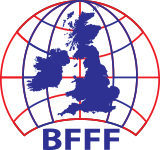 All Dalziel Ingredients’ products – seasonings, complete mixes, rubs, glazes, functional blends, flavoured batters, flavoured crumbs, snack seasonings, cures and brines – can be developed as gluten free at Dalziel’s purpose built, BRC accredited dry blending site. Existing products can reformulated as gluten free.